Ron Bandyk- Grout Cleaning in ChicagoCHICAGO, ILLINOIS—After becoming one of the top selling services on ChicagoRadioDeals.com, Ron Bandyk, owner of the Grout Medic of West/Southwest Chicagoland, was asked to join Paula Peterson and Darren Marlar on the pre-holiday edition of the ChicagoRadioDeals.com Radio Mall show. The Radio Mall show, which runs on WIND AM 560 – The Answer and WYLL AM 1160 – Chicago’s Christian Talk, features home improvement deals, get-away weekends, and fun fare for the whole family. The Grout Medic will be featured on shows airing throughout December as people prepare their homes for the arrival of holiday guests. 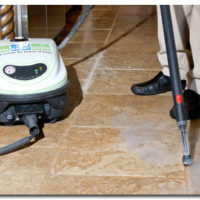 On the show, The Grout Medic of West/Southwest Chicagoland will be discussing its Shower Touch-Up and its grout cleaning and color sealing process for floors and the deals for these services which are featured on the ChicagoRadioDeals.com site. The Shower Touch-up service utilizes a high temperature (2800) water vapor steam to clean and sanitize all tile and grout, resealing the grout and removing and replacing the caulk. For floors, the Grout Medic uses the superheated dry steam vapor to open the pores of the grout and dislodge even the most stubborn stains before applying a penetrating color seal that both protects the grout going forward while bringing a like-new look to the entire floor.